If you’re looking to mitigate the impact of volatility on client portfolios without increasing risk, a covered-call option may offer downside protection if used properly. In its simplest form, says Goran Kostic, investment advisor with Macquarie Private Wealth in Toronto, a covered call is a “conservative strategy that can create additional monthly income in conjunction with dividend-paying stock.” There are two components to a covered call. An investor purchases shares in Company A for the current market price. To enter into an options transaction, a minimum number of shares must be held, usually 100. The investor then sells a covered-call option that gives the buyer the right to buy the stock at a predetermined price (the strike price) by a specified expiration date. The buyer of the option pays an immediate premium to the stockholder for the covered-call option, and the shareholder must hold the stock until the call option expires. The stock doesn’t reach the strike price before the covered-call option contract expires. The holder of the option never exercises it, so the shareholder keeps the stock and the premium. 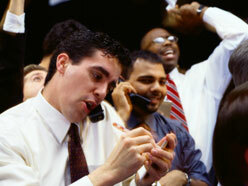 The stock reaches the strike price before the covered call expires and the option holder exercises. The shareholder then sells the units of stock specified in the call option at the strike price, and then receives a capital gain for the strike price. The stock drops and the option value falls. The shareholder may buy back the option at a price dependent on the premium and then resell it at a lower strike price. Most call options expire without being exercised, so the shareholder benefits from the premium paid on the option, as well as dividend payments or voting rights. Covered-call options favour investors who buy and hold stock. Even if the stock price declines, some loss is mitigated by the premium that was paid on the call option contract. To enter into covered-call options, an individual investor must have an options margin account, and, depending on the strategy, there is usually a minimum requirement of $100,000 before that investor can exercise covered-call options on her own. Adding a covered-call strategy to a portfolio can help mitigate downside risk in a volatile market, says Justin Charbonneau, CFA, DMS, FCSI, vice president and portfolio manager at Matco Financial Inc. in Calgary. The premiums can mitigate any losses if the value of the stock drops or remains stagnant. Kostic says many covered-call options are never exercised, because stock prices don’t always rise as anticipated. Usually, volatility brings out options buyers, since there’s more certainty of a price increase. During such times, buying and holding stocks can be more speculative than holding an option. If the supply of options exceeds demand, it will be reflected in the price of the option until the market balances. “The premium is not attractive to buyers in that situation,” says Kostic. Charbonneau adds the VIX (Volatility Index) is a good indicator of options pricing, but not necessarily the volume on the options market. The higher the VIX, the more expensive the put option (i.e. buying insurance) and the more skittish investors are likely to be. The lower the VIX, the more expensive the call option (i.e. betting on stocks will rise). Options buyers must pay an immediate premium when entering into a covered-call option. It’snon-refundable, and paid when the contract is struck, creating an immediate cash infusion. The more volatile the stock, typically, the higher the premium. Premiums from covered-call options increase overall portfolio value. the premium (when buying options), which is a cost to the buyer. The premiums and bid-ask spreads tend to change alongside market conditions, and DIVUTS: (dividend yield of the underlying stock; interest or risk-free rate; volatility of the underlying stock; underlying stock price; time to expiry of the option; and strike price on the option written). Some ETF sponsors build and manage covered-call option strategies within their products, but they are limited to large-cap and liquid stocks on the TSX. Each contract exercised represents 100 units of stock. Shareholders who sell options on all their underlying stock risk losing their entire holdings. So, investors and advisors should consider what percentage of their underlying stock they want to sell options on. Some investors sell options for shares they would purchase only if the option is called, but such naked call options don’t qualify as a covered-call strategy. Implementing a covered-call strategy is a balancing act.A strike price can be set at any dollar value, but premiums will be highest when it’s close to the market price, or “close to the money.” Options can be written for any strike price and for any time frame. In a volatile market, the underlying stockholder runs the risk of having the stock called away, forcing the sale to the option holder at a time when its price may continue to increase. Writing covered calls on a dividend-paying stock may look like a simple way to add value to a portfolio, but it isn’t always, says Charbonneau. Dividend-paying stocks command a lower option premium because the “dividend yield of the stock reduces the stock’s volatility.” This makes it less attractive to speculators who typically employ covered-call strategies and buy call options. Any income derived from a covered-call strategy is typically considered a capital gain, although there are some cases when CRA views it as regular income. Such cases include when someone trades options for a living or a client owns securities for a short period (for a full explanation, go to advisor.ca/coveredcall). Losses are considered capital losses. Risk-averse investors are, by definition, poorly suited to covered calls. Those with minimal knowledge about the inner workings of capital markets, and who can’t afford to lose the stock if the call is exercised should also stay away. “Any client who actively trades stock or wishes to employ a short-term investment strategy will not benefit from covered calls,” Kostic adds. Charbonneau says “a sideways trending market with moderate volatility” creates good conditions for covered calls. It puts investors in a position to earn consistent premium income while continuing to hold their underlying stock positions. Kostic adds higher volatility can create higher premium income as speculators look for stock deals. That higher volatility, though, increases the risk the stock will be called away. When one options contract expires, shareholders can issue a new covered-call option with a new strike price and a new expiration. They can also issue different covered calls for different strike prices and different time periods on different numbers of shares to further offset volatility, as long as the shareholder owns enough underlying shares to fulfill an option call. If the price of the underlying stock drops, the issuer of the call option can buy it back at a price dependent on the option premium, and then issue a new call option for a lower strike price. that higher price. Should the stock price then fall, he can protect his investment.